Very often I am asked to assist in the advancement of a brands promotion. But to keep a logo that has already been very well established through various methods of advertising and signage. That’s not a problem at all! I would be glad to help. 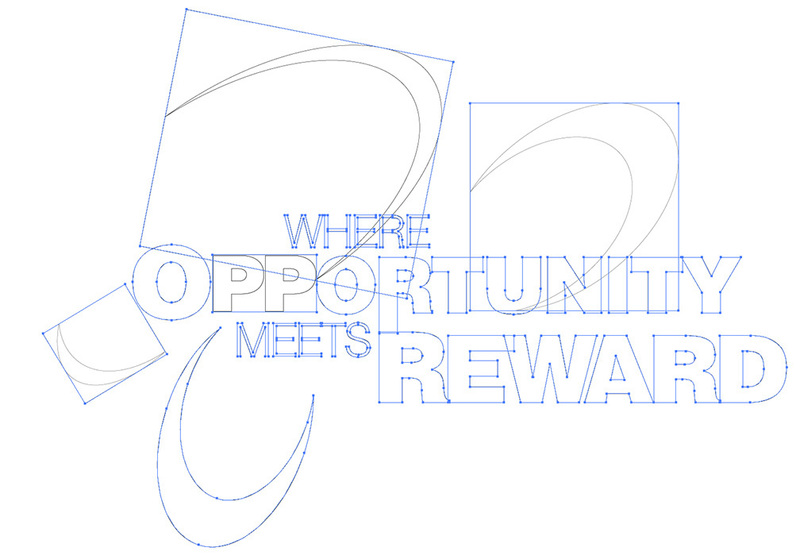 But before I do, I will need to gather from you a vector formatted logo. 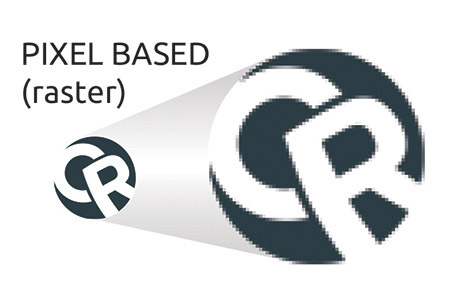 Let’s go over the differences between vector formatted logo’s and rasterized formatted logos. 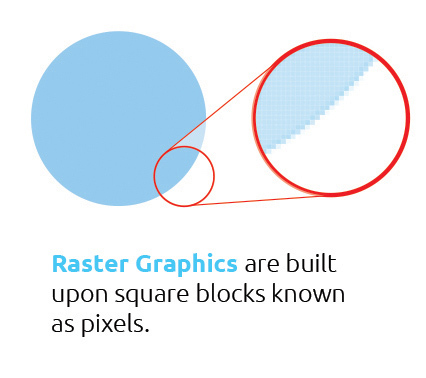 A raster format contains pixels. 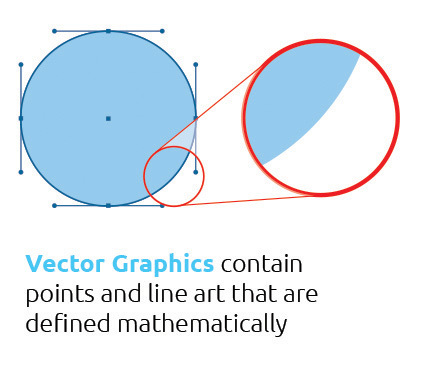 A vector formatted logo consists of a series of line paths and nodes that contain mathematical data allowing it to be enlarged without any data loss. It may seem a little magical at first so if this is something that seems like uncharted territory lets dive in further. A rasterized logo is made up of tiny square blocks of data, each with a specified color. These squares are also known as pixels. The most popular rasterized or bitmap images are photograph images. Graphic designers will usually manipulate those images in a program called Adobe Photoshop. Rasterized versions can be produced from any of the above file formats within a few clicks of the mouse. However converting a rasterized image back to a vector format requires completely redesigning the logo through a series of precise line placements. Vector logo’s are much more powerful in the event that they can retain their crispness no matter how enlarged the placement becomes. A vector graphic is also made up of a series of nodes and lines, containing sets of calculations to retain their values. The elements within the logo can also be assigned values such as pantone colors or even process CMYK color values. Most often professional designers will use a program called Adobe Illustrator to produce logo design work. A logo that is in a vector format can be easily edited. Change of color can be made by clicking the elements and choosing other options within the color palette. 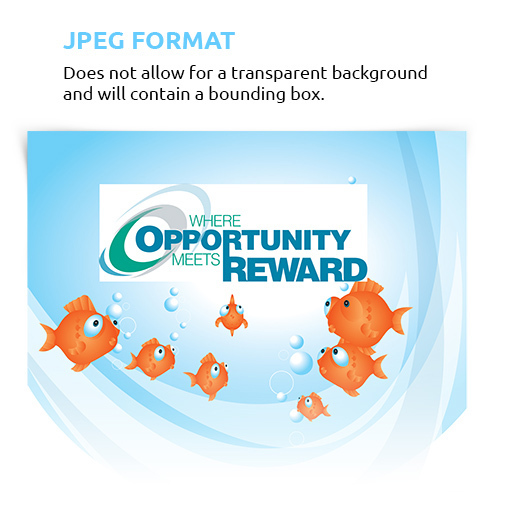 It will also contain a transparent background enabling placements upon a solid colored background. What advances the potential for creative roaming the most however is the ability to discect and edit the eps or vector format. 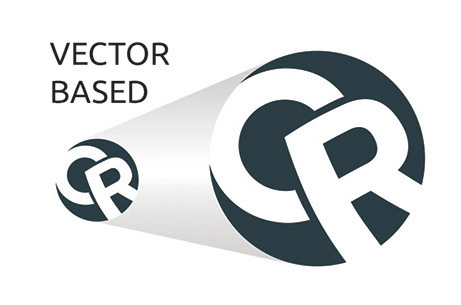 With a vector file format your designer will be able to take the logo apart. 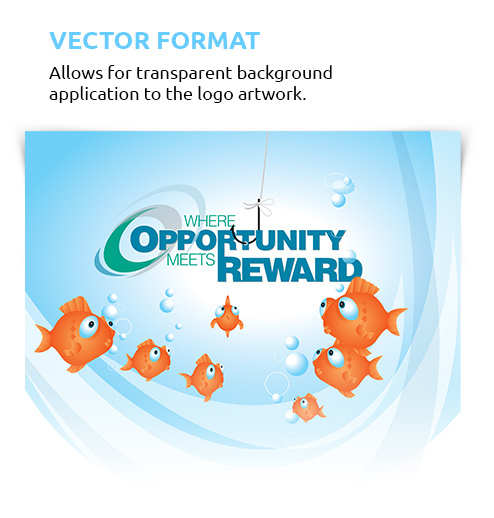 As seen in the above graphic, those swooshes in the background, behind the fish were taken from the line art within the logo. Also those pieces may be manipulated by assignment of new colors as seen in the above designed graphic.